Happy Sunday, my loves! 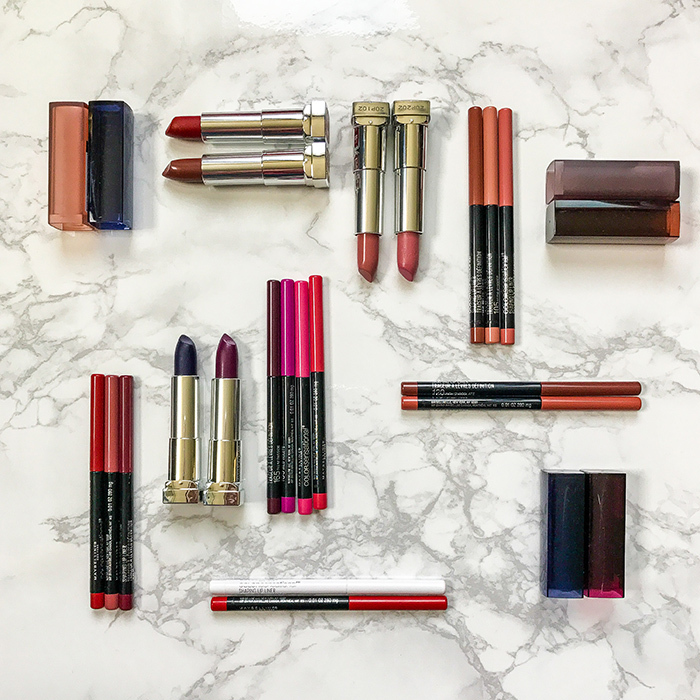 With different colors and shapes, lips can change your entire finished makeup look. That's how important it is to have perfect lips. I want to share with you girls a few tips to achieve the perfect lip look. You can prep your lips with lip primer or lip balm to make sure a smooth application of any lipstick. I actually use lip balm every night before I go to sleep. Night time is the best time to recover and repair for anything. 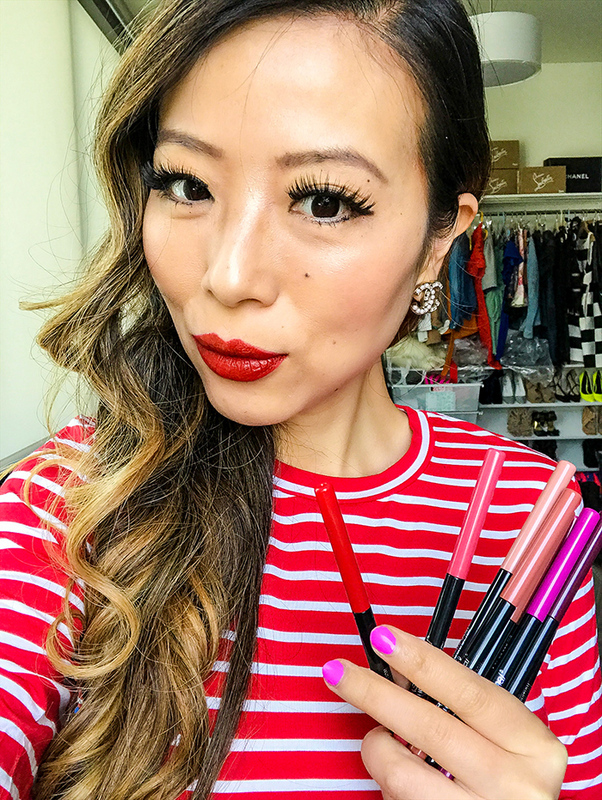 I've been using Maybelline color sensational lip liner for a while now and it comes in many different colors. I really like them and I also brought them with me to my trip to Dallas last weekend. It's the essential to create a more defined lip look. A lot of girls asked me how to pick the color of the liner, I say there is no rule and it's totally up to you and what you like. You can coordinate your lipstick with similar lip liner color or create bold definition by lining your lips with darker shade. 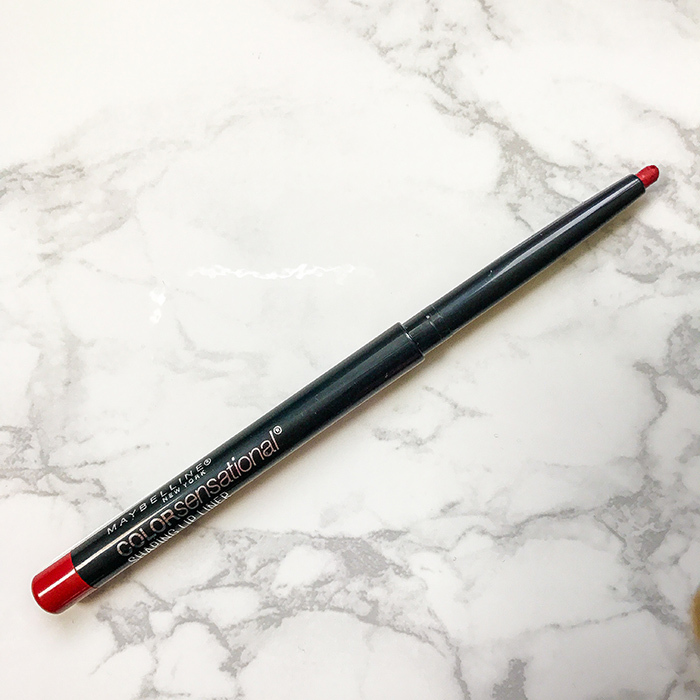 What I love about the Maybelline color sensational lip liner is that it's so easy and precise define my lips with its self-sharpening liner. It also uses no-smudge formula to prevent lipstick bleeding, feathering and keeping them in places. That's the secrete to always have a more defined lip look. I like to start from top center of my lips and work outward and then work on my bottom lips. I normally trace my natural lip line, but if you want a bolder look and I definitely have tried before I overdraw my natural lip line to achieve a bolder look. 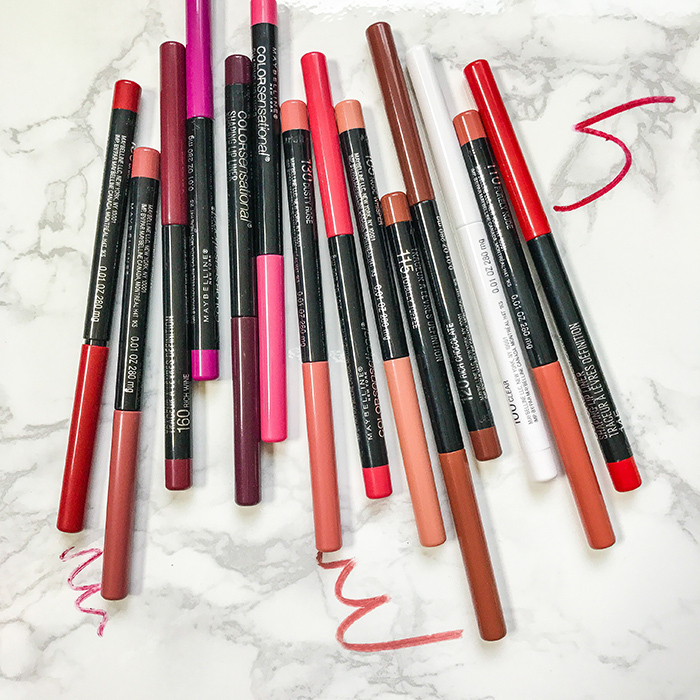 With the Maybelline lip liner, it's just so easy to draw the lines. If you really overdraw the line and made a mistake, you can use a small amount of concealer or foundation around your lips to fix the small stains around the edge of your lips. I've been using the Maybelline lip liner for a while now and I actually never need to fix anything cause it's super easy to use. Today's look I'm wearing both Maybelline's lipstick and lip liner. It's a slightly deeper red than what I would normally wear. But it's so fun to play with different colors and color combinations. Can't wait to experiment with more color combinations. You girls should check them out too! Which color is your favorite?